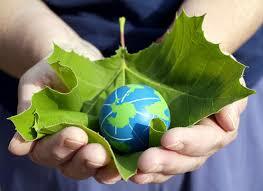 Today is "World Environment Day"! I would suggest to stop by and smell some flowers and appreciate the beauty of nature even if you are already doing so. The theme for this year is "connecting people to nature". 2) "Say No litter" policy: Take a conscious call to avoid littering the streets and educate others too. Organise a litter picking community and help cleaning the public places. 3) Reduce, Reuse and Optimise: Natural resources are sparse. learn to reduce wastage, encourage recycle and optimise the usage of resources like paper, electricity, water among others. Remember, one small step is a giant leap of mankind. Do not hesitate to take small steps before you take environment as a bigger cause.